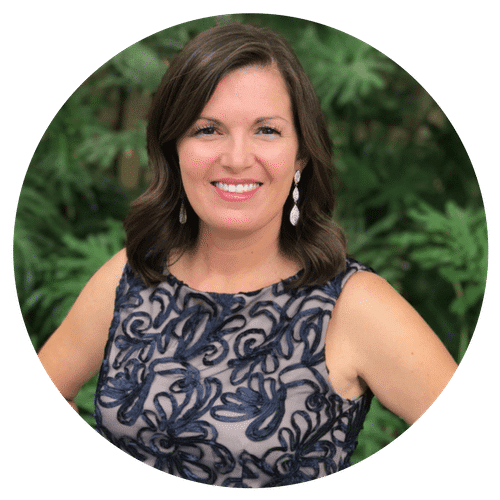 Here at Lakeland Mom, we are passionate about connecting families in our community to helpful local resources, and parents of special needs children are at the top of our list. For all of you moms, dads, and grandparents raising children with autism or other special needs, we know you face challenges with everyday activities that many of us take for granted, and events like movies, sports, and play spaces filled with children and loud noises are often too overwhelming. The good news is that there are organizations in our community creating special opportunities for your family to enjoy these activities in a sensory friendly and/or special needs friendly environment. Our goal is to help you discover places where your kids will thrive! Dates are included for 2019 (if we could find them), but please check with these sources before heading out to confirm dates and times. Sensational Sundays are a time designed for special needs children and their families to come and play in the Family Fun Center’s Funtasia Soft Play area. Upon arrival, the main lights will be turned off, games will be off and it will be a sensory friendly environment. Parents can relax knowing they are among friends and siblings can interact with other siblings who may have a special brother or sister of their own. 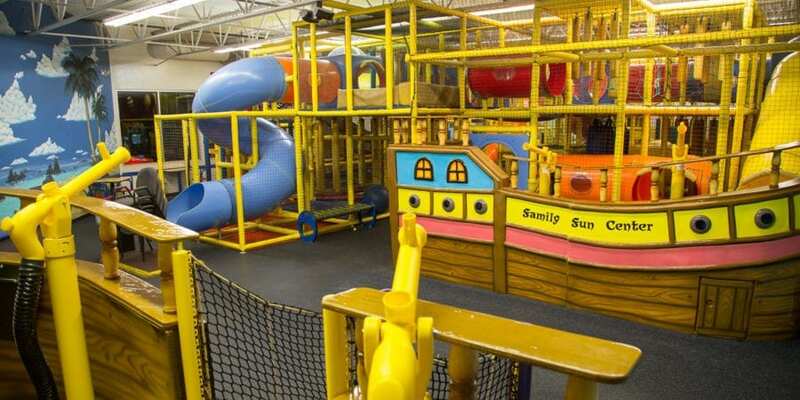 While in Funtasia, your children will explore a 4 story maze of tunnels, tubes, slides and obstacles. It’s a healthy and fun attraction that will keep them engaged and entertained. For ages 12 and under and less than 60” tall, socks are required for play. 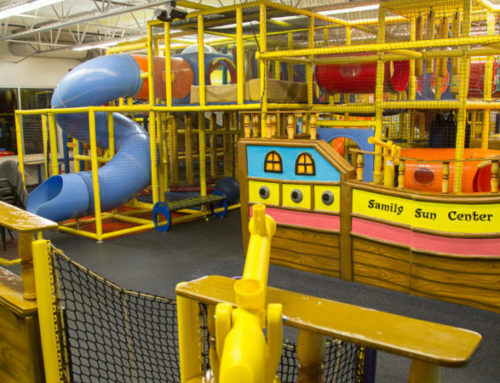 Although Sensational Sunday concludes at 12pm when Family Fun Center opens to the public, all day play is included in your admission if you wish you stay or even come back later in the day. When: Select Sundays from 10:30am-12:00pm. 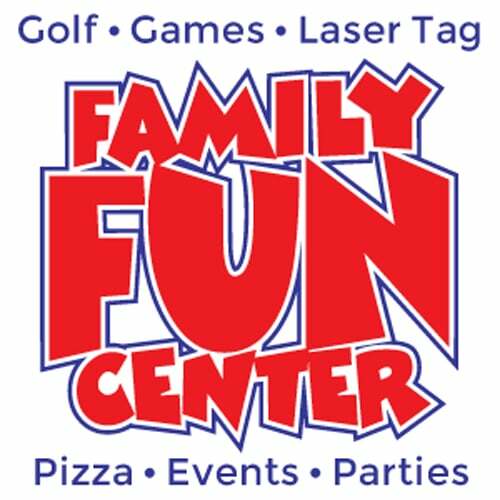 More Info: For prices, dates, and additional information, visit the Family Fun Center website or read our post about Sensational Sundays. 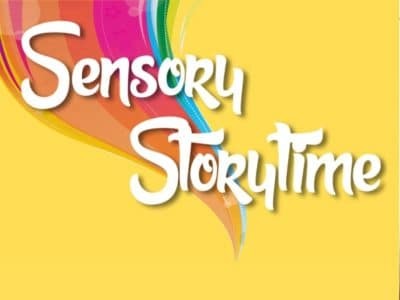 Sensory Storytime at the Lakeland Library includes stories and activities that are created for children ages 3-10 on the autism spectrum or with sensory sensitivities. As additional support, fidget toys and a Cozy Corner will be provided. Parental or caregiver attendance is mandatory. When: Select Saturdays from 10-10:30. Typically 2nd Saturday of each month with a rare exception. More info: Call Melissa Estrada at 863.834.4275 with questions. 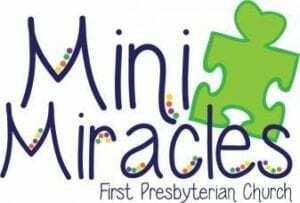 Mini Miracles is a Sunday School Class in Room 109 offered during the 10:30 worship hour. It was developed for children ages 4-12 who struggle with Developmental delays, Autism spectrum disorders, ADD/ADHD, or any other special need. This class allows children with exceptionalities to play freely and have safe social interactions in a secure environment with specially trained adults. Pagers are provided so parents can attend worship without worrying about emergencies. Spirit Gymnastics is offering HUGS – an adaptive gymnastics program designed especially for special needs individuals ages 3-30, developed by the United States Gymnastics Federation. This FREE program for ages 3 & up includes 1 ½ hours of training fun designed for Special Needs. Parents are welcome to stay and participate or observe the program. Instruction is provided by certified Spirit Gymnastics coaches and volunteers trained to work with special needs children. Saturdays from 9:30-10:30am. Visit the Spirit Gymnastics website for more details or call 863.875.4839. Join us at 2infinity for an exciting evening for our Special Needs community. Experience 2infinity with dimmer lights, and softer music. Discounted Flight Tickets – $15 for two hours, includes socks. This is an exclusive night for those in the community with Special Needs, and their families, typically on the 3rd Thursday of the month. Purchase tickets at the park the day of the event. Each participant will need to have a signed waiver. When: 3rd Thursday Night of each month from 6pm – 8pm. TiAnViCa provides recreational therapeutic horse riding for individuals with disabilities. It combines instruction in traditional horsemanship skills with concepts of physcial therapy to improve the strength, balance, and self-esteem for children and adults with physical, mental and emotional disabilities. Most of all, it’s FUN! 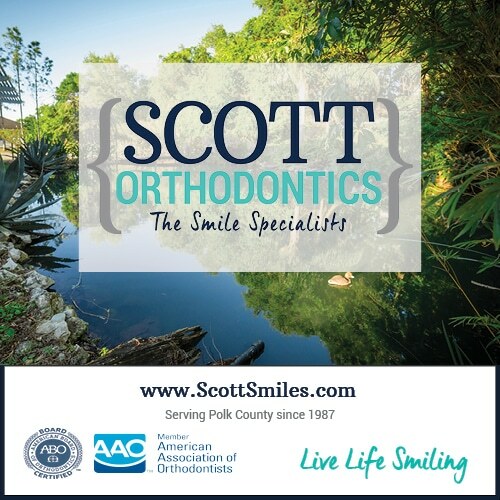 Where: 3380 Hwy 60, Bartow, FL 33830 (MAP IT). Sensory Friendly showings provide families with varying abilities the opportunity to enjoy a family friendly film where kids can be kids in a safe and accepting environment. The auditoriums are made more comfortable by brighter lights and the sound level is turned down. The audience is encouraged to be themselves and interact with the movie, while having fun without the worry of disturbing others. Dance, sing and enjoy the show! Click here upcoming showtimes for 2019. Buddy Break provides a safe place for VIP Kids and their siblings to have fun and establish meaningful friendships with other kids and adults while their caregivers get a much-needed FREE break from their overwhelming caregiving responsibilities. VIP Kids include kids with any physical, cognitive, medical or hidden disability, chronic or life-threatening illness, or those who are medically fragile. Nearby Buddy Break Locations are below. Visit the website or contact the coordinators for more details on how to get involved with Buddy Break. UDC is the place where everyone can dance! Taught by in house FrediDance Project Company Members, The Special Creative Experience Dance Class meets weekly for fun social dancing & learning a routine for our annual Best In Dance Recital. This class focuses on developmental dance, allowing students who are growing & learning to build self-esteem and self-expression through dance & music. With popular dances like the electric slide, wobble & more the SCE Class encourages those with special abilities to enjoy dance & be themselves. GymnasticsEtc GE All Stars has partnered with the United States All Star Federation and the Special Olympics to start a Special Needs Cheerleading team! We want to offer special needs athletes an opportunity to perform at USASF sanctioned competitions. This program will help boost self-confidence and improve motor skills while the participants will have a great time. Special Need athletes of all ages are welcome. Lakeland City Baseball’s LCB Buddy Ball™ League is for boys and girls with physical and/or intellectual disabilities, ages 5 and up. Each LCB Buddy Ball player is accompanied by a buddy, who can be a parent, sibling, friend or just someone wanting to help the players have fun and enjoy the game. A special needs theatre troupe consisting of 40 members ages 12 to 50 who meet once a week at Lakeland Community Theatre to work on improv, scene work, dance, poetery music, social skills and much more. Twice a year, the troupe performs a one act musical production for the community. US Youth Soccer, the largest youth sports organization, started TOPSoccer in 1991 to provide young athletes with disabilities an environment filled with meaningful learning, development and physical participation opportunities through the game of soccer. 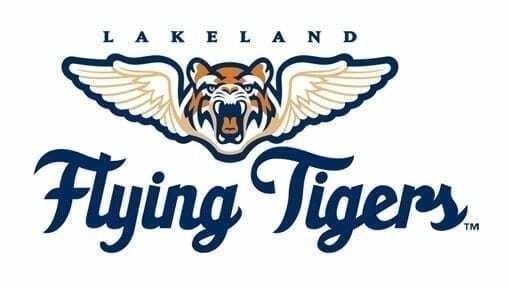 Lakeland FC TOPSoccer volunteer committee will work to help players develop, compete and achieve success according to their individual abilities. Through the efforts of people and parents like you a whole new world awaits these children, please reach out and bring them to our Lakeland FC soccer family. More info: Visit the Lakeland Tropics FC website. Special Olympics provides year-round sports training and competition to children and adults 8 years of age and older with intellectual and developmental disabilities. Currently offering 17 sports in Polk County. Nathaniel’s Hope is dedicated to celebrating kids with special needs (VIP kids), as well as educating and equipping the community to provide practical assistance to VIPs and their families. VIP kids include kids with any physical, cognitive, medical or hidden disability, chronic or life threatening illness, and those who are medically fragile. The four main programs include: the VIP Birthday Club, Buddy Break, Make ‘m Smile and Christmas with Nathaniel’s Hope. Nathaniel’s Hope also hosts special events throughout the year just for VIP kids and their families. For those of you looking to venture a little further out, below you’ll find places in Tampa, St. Pete, Orlando and other nearby cities with sensory friendly and special needs activities. AMC is proud to partner with the Autism Society to bring you unique movie showings where you can feel free to be you! We turn the lights up, and turn the sound down, so you can get up, dance, walk, shout or sing! Click here for upcoming showtimes. Where: There are no AMC Theaters in Polk County, the nearest locations are in Brandon and at Disney Springs. Sunshine Sunday is a special morning on the last Sunday of every other month. This program is a limited-engagement event for children with special needs and their caregivers. Children can explore the Museum with lights and sounds turned down and sensory adapted tools, special programs, and community resources at their fingertips. It’s during this time that children and their families can experience the Museum and unite with others on a similar journey. When: Last Sunday of every other month from 10am – 12:30pm. Check the Glazer Museum Calendar to confirm upcoming dates. Cost: Free for Members, $5 general admission. Connect with your family, with other families and with resources in the community. Join us for Great Connections, an event just for children with special needs and their families. The second Sunday of the month, Great Explorations will close to the general public from 10 a.m. to 12 p.m., will modify lights and sounds, and will provide a “cool down” room for families who need to take a break. The REP is pleased to offer Sensory-Friendly performances, specially designed for children with autism, Asperger’s, or other sensory processing disorders and special needs. Adjustments have been made to the show’s lighting and sound effects. A quiet room is available, should patrons need to leave the theatre at any time. A Social Story, a resource guide for parents and children, is also available for download, so patrons can get a feel for the theatre experience before the day of the show. We couldn’t find a list of upcoming Sensory Friendly shows, call the box office for more details. The Orlando Science Center is becoming more accessible by providing new sensory friendly experiences on select Sunday mornings. This sensory friendly experience will allow our visitors a chance to visit select exhibit halls at quieter volume settings with more light. Visitors will also be able to enjoy a movie with softer volume and more ambient light in our theater. Cost: Regular Science Center admission applies. Free to Science Center members. Sky Jump Trampoline Park in Tampa hosts a time for individuals with special needs and disabilities to jump and to learn new skills in a safe, controlled environment. 60 Minute Jump session. At Altitude we want all to gain the enjoyment and freedom of flight on a trampoline so each 1st and 3rd Saturday morning of the month we offer Sensory-friendly Saturdays! While the park is open to the public, during this hour it is less crowded, the music is turned down, no parties are scheduled, and 1 accompanying parent jumps free. Planning a visit to the Florida Aquarium, Lowry Park Zoo, MOSI, Dinosaur World, Glazer Children’s Museum, Great Explorations Children’s Museum? The Center for Autism & Related Disabilities at USF (CARD) has created visual supports for many attractions in the Tampa Bay Area. Visit their website to download these resources under the Autism Friendly Businesses Tab. Visit our Directory to see a full list of Special Needs Resources. 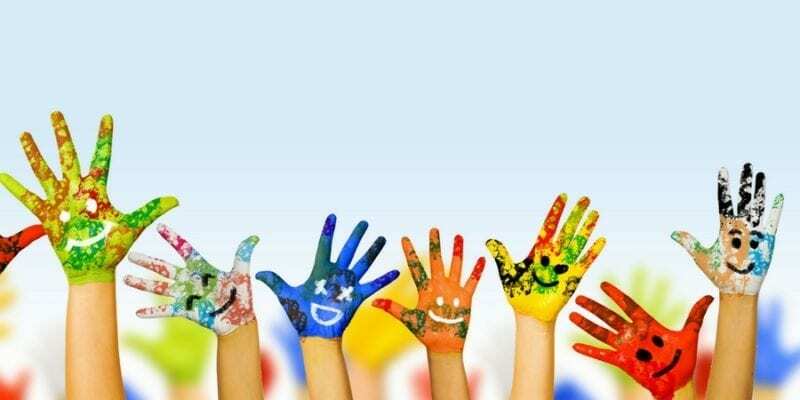 Do you know of other sensory friendly activities or events in the Lakeland or Central Florida area? Comment below or contact us to have them added to our list. Thank you for such an informative website! Much appreciated. My 20 y/o will be possibly moving that way in the near future. She is special needs…loves activities, karaoke, board games, craft, peer interaction, etc. Hugely independent. We have a church that has a day program for young adults, 9-4 p.m…not free but the church uses scholarships and parents pay as well. Do you know if there is something comparable to this in the Lakeland area? Hi Becky – I would reach out to Alliance for Independence – http://afi-fl.org/ or 863.665.3846. They do an amazing job providing specialized training to developmentally disabled adults along with other activities and resources. Noah’s Ark is also a great resource in Lakeland for adults with special needs. I don’t know the specifics on what they offer but their website is http://noahsarkflorida.org/ and phone is (863) 687-0804.